Chris Watson’s No Man’s Land is an audio installation that celebrates the sounds, rhythms and music from deep below the surface the world’s seas and oceans. Taking place at Attenborough Centre for the Creative Arts from 27 March – 13 April and suitable for all ages, this city-specific edit of the sound work created by Watson (David Attenborough’s sound recordist), takes the listener from Brighton beach, through the soapy surf and out around the world, submerged on an oceanic journey for the ears and the imagination. 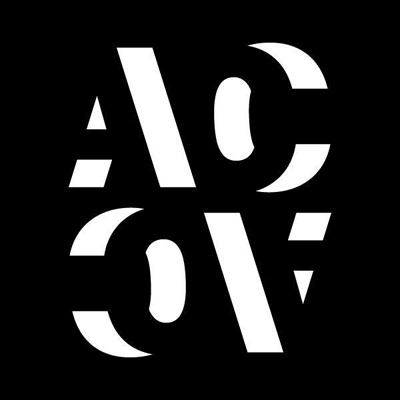 Audiences will experience the 40-minute long piece in the comfort of ACCA’s auditorium but will travel via sound from the edge of Brighton’s beach, out with the ebbing tide, to follow the waves and currents on a trackless voyage around the planet from the ocean floor. Weddell seals singing under Antarctic sea ice, the snap crackle and pop of a coral reef in the South China Sea, the haunting songs of humpback whales in the Caribbean and the hunting pods of orca in the North Atlantic can all be heard in the piece, before the listener is swept back onto the pebbles by the remains of Brighton’s West Pier. No Man’s Land is a unique spatialized audio journey into the deep ocean and the most ‘sound rich’ environments on the planet. The sounds that make up the piece have been collected by Watson over his 30-year career as a sound recordist specialising in natural history, including from his work on Frozen Planet and on documentaries and musical collaborations at far ends of the earth. Watson is also an experimental musician and a founding member of the group Cabaret Voltaire. A city-specific edit of a sound work celebrating the sounds and rhythms of the world’s seas and oceans, No Man's Land takes the listener from Brighton beach and around the world, submerged on an oceanic journey for the ears and the imagination. Taking place at Attenborough Centre for the Creative Arts, from 27 March – 13 April and suitable for all ages, this city-specific edit of the sound work created by Watson (David Attenborough’s sound recordist), takes the listener from Brighton beach, through the soapy surf and out around the world, submerged on an oceanic journey for the ears and the imagination. We caught up with Chris to find out more about his work. You say that you use the tape recorder as instrument. How much do you manipulate the recordings of nature or do you organically let them weave into a soundtrack? Most of the sounds I recorded via my hydrophones for ‘No Man’s Land’ have a strange, exotic and engaging quality, and they are intact, as recorded. The composition process is to discover ways of creating a seamless narrative movement through the ocean. Watson was a founding member of the influential Sheffield based experimental music group Cabaret Voltaire during the late 1970’s and early 1980’s. 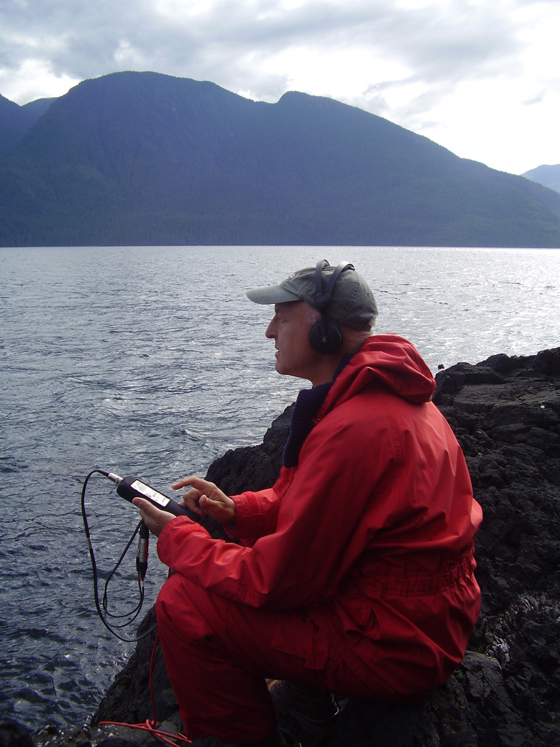 Since then he has developed a particular and passionate interest in recording the wildlife sounds of animals, habitats and atmospheres from around the world. As a freelance composer and sound recordist Watson specialises in creating spatial sound installations which feature a strong sense and spirit of place. His television work includes many programmes in the David Attenborough Life series including The Life of Birds which won a BAFTA Award for ‘Best Factual Sound’ in 1996, and as the location sound recordist on the BBC’s series Frozen Planet which also won a BAFTA Award for ‘Best Factual Sound’ (2012). Watson has recorded and featured in many BBC Radio 4 productions including The Wire, which won him the Broadcasting Press Guild’s Broadcaster of The Year Award (2012). His music is regularly featured on the BBC Radio 3 programme ‘Late Junction’. In 2013 Watson received a Paul Hamlyn Foundation Composers Award. His installations have been commissioned by international galleries and festivals such as Sheffield Millennium Gallery, Opera North, The National Gallery, London, The Royal Opera House, Covent Garden, The Louvre, Paris and the Aichi Triennial in Japan. Pay What You Decide tickets are available. See website for details. Box office is open 10am-4pm Monday to Friday. Attenborough Centre for the Creative Arts is an interdisciplinary arts space located on the University of Sussex campus. The centre brings the university, local residents and the wider national and international arts communities together through its programme of music, film, dance, installation, performance, discussion and debate. The building is a Grade II* listed building designed by Sir Basil Spence and originally opened in 1969. The fully refurbished space contains a flexible 350-seat auditorium, studios for teaching/research/rehearsal, café/bar and meeting area. The Centre is named after Richard Attenborough (former Chancellor at University of Sussex). The programme at the centre is guided by Lord Attenborough's values: human rights, social justice, creative education and access to the arts for all. Attenborough Centre for the Creative Arts is led by Creative Director Laura McDermott.